Our guide books have been around the world but this time we got to go with them! Amsterdam remains one of the most popular holiday destinations in Europe and summer is the peak tourist season in this idyllic Dutch metropolis. That is why we decided to take to the streets of Amsterdam and give out exactly one hundred copies of our Marco Polo Amsterdam Pocket Guide. On Thursday, July 6, 2017, we parked ourselves outside the beautiful Amsterdam Central Station with a suitcase full of books. The station area is a great place for finding tourists as the train connection between Amsterdam and the airport is the preferred method of getting to the city for many travellers. With guide books in our hands we set to the task. Soon we spotted our first travellers who at first couldn’t believe that we were giving the books away just like that, no strings attached! Well lucky them, this time the lunch – or the book as it were – was free. In no time, there were dozens of tourists, ready to explore the city with their new Amsterdam Pocket Guides. We were looking to find as many tourists as we could so we had plopped our suitcase down next to a map of Amsterdam. Of course, it turned out to be a great place to come across tourists as even in this age of smartphones and Google Maps, nothing beats a real map. In our bright yellow Marco Polo shirts, we looked every bit the knowledgeable travel guide and were bombarded with questions. Fortunately, we had some real Amsterdam insiders with us who were more than happy to share their tips on how to best get around the city. The pull-out maps that come with our pocket guides were also welcomed with great enthusiasm. After only a little more than an hour, our suitcase was empty and all of our pocket guides were on their way to exciting Amsterdam adventures with their new owners. We had many lovely encounters with people from all over the world, all excited and ready to enjoy their trip. We hope that our Amsterdam pocket guides came in handy and helped people to experience the city to the max! We had a lovely time in the sunny Amsterdam, and if you wish to see more of our Amsterdam adventure, check out the short video below! Buy the Amsterdam Marco Polo Pocket Guide. We are proud to introduce MY WAY Travel Journals! This exciting new series are now available from marco-polo.com and all good retailers! Every journey is a unique experience. Everyone travels differently. Some like it hot, others love the cold. Everyone remembers delicious food, special encounters, favourite places, and secret insider tips in their own way. And none of it should be lost. That’s why Marco Polo has created MY WAY. With Marco Polo MY WAY Travel Journals every journey becomes unforgettable! If you have ever wished that you had kept a diary of a special trip, not just photographs, ticket stubs and postcards, but a record of your thoughts and emotions throughout, then Marco Polo MY WAY travel journals are for you! With themed stickers at the back of each book, you can individually arrange and design your own travel record – before, during and after your trip. You have the opportunity to give special experiences more space or less – depending on what is most important to you. With four stylish tactile covers to choose from and 160 pages in each journal, there is plenty of space to record everything from your initial travel checklist to travel companions, favourite places, insider tips and most embarrassing moments – turning the finished book into a wonderful memento to treasure forever. Jungle cover – 978 3829769488 Buy now! Citymap cover – 978 3829769471 Buy now! Passport cover – 978 3829769495 Buy now! Beach cover – 978 3829769464 Buy now! What do you think? Have you ever used a travel journal? If not, is it time to start now? 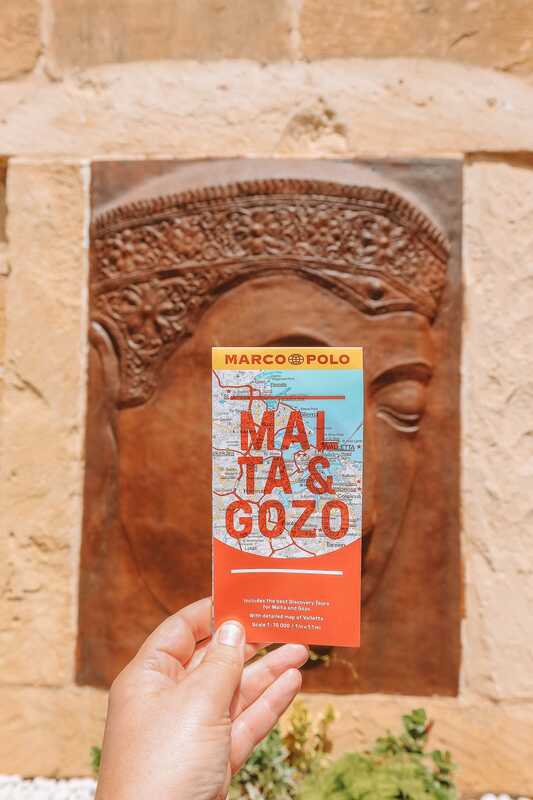 Comment below, tweet us @MarcoPoloGuides or tell us on Facebook. Which guide book is right for you? Create your perfect trip with Marco Polo Pocket Guides, Spiral Guides and Travel Handbooks. Every traveller is different. Different wants, different needs, different interests, different budgets… the list is endless! Compact, full-colour guides packed with Insider Tips. Now with NEW Discovery Tours chapter – each guide has 4 to 5 specially tailored tours helping readers to discover hidden gems and get off the beaten track. Insider Tips – from locals who have the inside track on what’s hot and what’s not, including great sights to see for free, what to do if it rains, and places to relax and chill out. Hidden gems – offering a real insight, with personal recommendations for all occasions and moods. A street atlas and pull-out map – taking you straight to the highlights of each destination. The Magazine – to inform and inspire, setting the scene and getting under the skin of a destination to discover what makes it tick. Finding Your Feet – practical tips to help you have a problem-free trip, from your arrival at the airport to going back home. Don’t Miss the ‘Must Sees’ – Top 10, Don’t Miss and At Your Leisure are dedicated to the sights in each region, quickly letting you choose what you absolutely must (and want to!) see, and telling you what’s less important. Includes a detailed map and a suggested itinerary for a perfect day, and information on restaurants, best spots for shopping and going out in the “Where to…” sections. Walks & Tours – walking, driving and cycling tours that allow you to experience your destination from a completely different perspective. 10 Reasons to Come Back Again – what makes the place magical and why you should plan a return trip. Large, comprehensive travel guides packed with expert advice, cultural information, Insider Tips and unique infographics showing key facts in a fun and accessible way. Aimed at travellers wanting in-depth coverage of a destination. Our Travel Handbooks are the first travel guides to offer infographics – a fun and highly visual way of presenting complex information in and easy to understand way. ‘Do You Feel Like …’ – fun suggestions to help you experience the variety of a destination, whether you are into fantastic views, impressive museums or atmospheric locations. ‘Insider Tips’ – giving you the inside track on what to see and where to go. In-depth information – all the things that make a trip unforgettable from eating & drinking, sightseeing, shopping, museums & galleries, festivals etc. 3D cut outs of key sights on distinctive fold out pages and specially created tours to help you explore a destination on foot, by bicycle, car or public transport. So which guides came out on top? Which were kept in the glovebox and thumbed intensively at each place we visited? Before this trip, we’d never used Marco Polo travel guides before, but that could now change. Reading and comparing the Las Vegas and San Francisco guides from Rough Guide and Marco Polo, we both preferred the Marco Polo guides. In fairness, both guides are similar and both are well up to the job. Both use a two-column layout and have similar content. Our preference for the Marco Polo guides was mainly because we preferred the organisation of the content and the more modern formatting of the guide. It seemed more readable and easier to find what you want — e.g. suggested eateries, grouped by budget, or details of casino attractions in each section of the strip. Both guides included pocket maps of the central areas of each city, but with differences. The Marco Polo maps were physically larger and included more detail. For example, in San Francisco the bus routes were marked on the map. Very useful. In Las Vegas, the Marco Polo map covered a wider area and was far more useful for driving. As it happens, the Rough Guide pocket map was the best for a walking tour of the main strip area as it was very large scale and showed all the main casinos in enough detail to plan an efficient route. Special thanks to our guest blogger, Roland Head, from Motorhome Planet.